100% Authentic Geekvape Gbox 200w Squonk Starter Kit. 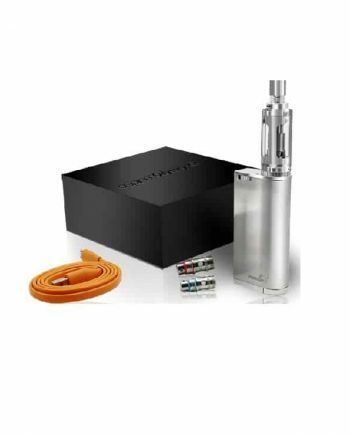 A great new true high-wattage squonk starter kit, at an awesome price point! 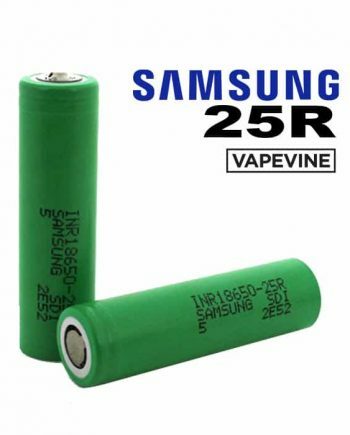 Comes with the Geekvape Radar bottom-feeding RDA. 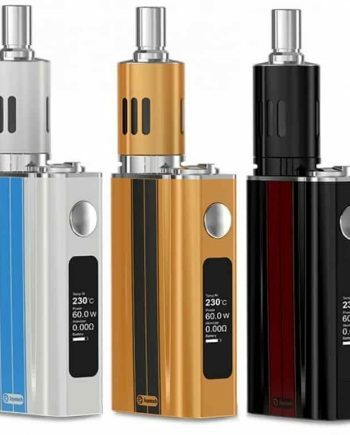 The new Gbox Squonk starter kit provides up to a true 200 watts of power, and supports dual 18650 cells. The Gbox Squonk kit is a great way for beginners to become introduced into squonking, with a safer Regulated chip, and an easy to build RDA. 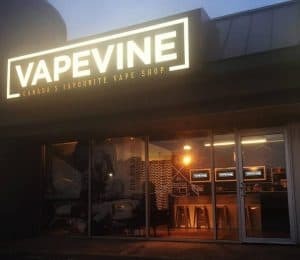 Squonking is a relatively new concept to vaping that integrates an eLiquid storage tank directly inside the mod, and a hollowed out 510 connection, that allows juice to be “squonked” through the mod and RDA, into the juice well. 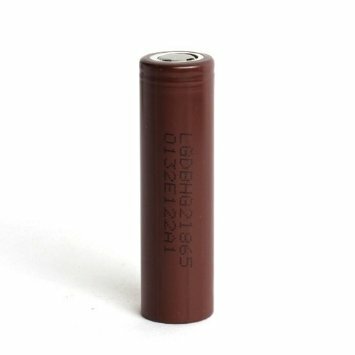 This provides the benefits of using an RDA, such as undistorted, pure flavour, without needing to contstantly re-drip, and saturate the coils and cotton. The Gbox Squonk kit is a compact kit, that provides unmatched convenience with a large built-in 8mL eLiquid storage. The Gbox squonk mod fires as low as 0.05 ohms, to allow for larger complex builds. The Gbox Squonk kit is great for on-the-go vapers, while staying wallet-friendly! The Gbox Squonk Starter Kit comes with a squonk compatible Radar RDA. The Radar RDA features an innovative new build deck design, that allows for seamless installation of both small, and large, complex sized builds. The airflow design on the Radar RDA features 2 horizontal adjustable airflow slots, for precise airflow control. 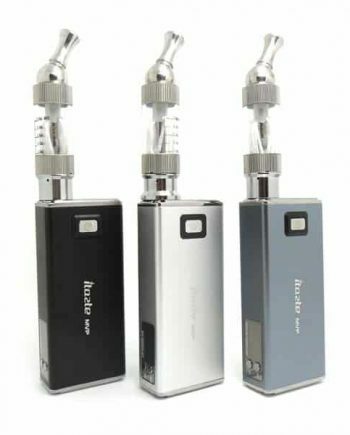 This adjustable airflow design provides a smooth airflow path, for an all-around smooth vape. The Radar RDA uses a stainless steel deck for great conductivity, and slightly more battery life. The Radar RDA uses both 810, and standard 510 size Delrin drip-tips, for improved flavour, or to keep the Radar RDA cool under heat or high wattage loads. 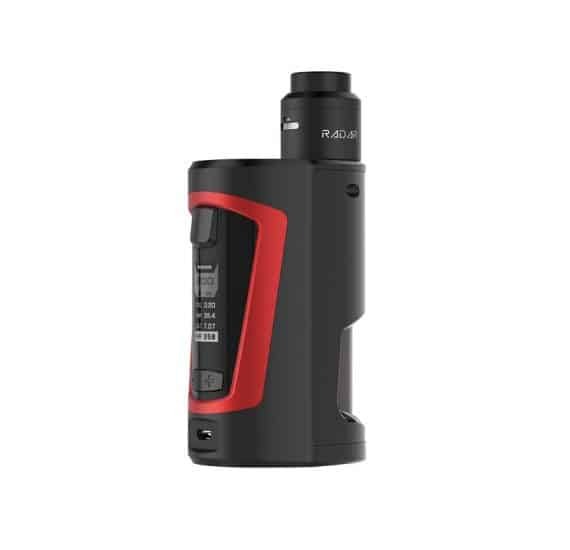 The Radar RDA is a great addition to the Gbox Squonk Starter Kit, due to its simplicity, and ease of use. 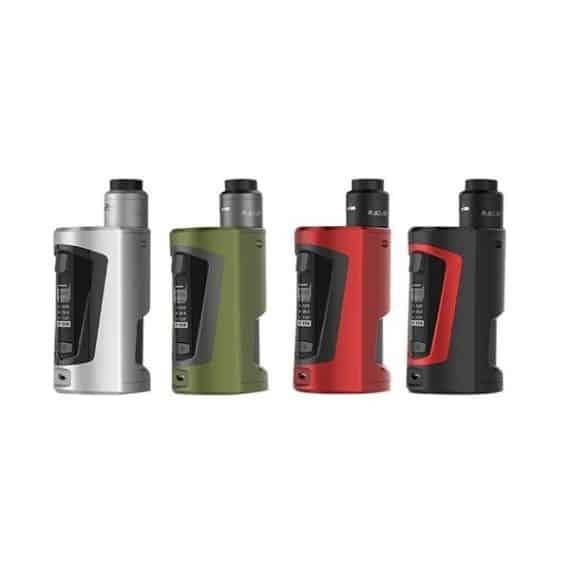 The Geekvape Gbox Squonk Kit supports dual 18650s. BATTERIES NOT INCLUDED. Comes in: Black/Red, Red/Black, Green/Black, and Silver/Black.